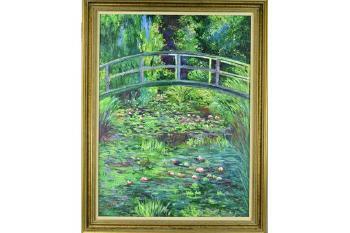 Paris, Galerie Durand-Ruel et Cie., Tableaux de Claude Monet, May 1895, p. 8, no. 49. New Orleans, Isaac Delgado Museum of Art, Odyssey of an Art Collector: Unity in Diversity, Five-Thousand Years of Art, November 1966-January 1967, p. 174, no. 183 (illustrated, p. 117). New Orleans Museum of Art (on extended loan, 1977-March 2018). Fukushima, Koriyama City Museum of Art; Kanagawa, Sogo Museum of Art; Nara Sogo Museum of Art and Kitakyushu Municipal Museum of Art, French Art of Four Centuries from the New Orleans Museum of Art, February-August 1993, pp. 57 and 142, no. 23 (illustrated). Munich, Kunsthalle der Hypo-Kulturstiftung and Basel, Fondation Beyeler, Claude Monet und die Moderne, November 2001-July 2002, p. 42 (illustrated). Madrid, Museo Nacional Centro de Arte Reina Sofía, Monocromos: Variaciones sobre el tema, June-September 2004. Fine Arts Museums of San Francisco; Raleigh, North Carolina Museum of Art and The Cleveland Museum of Art, Monet in Normandy, June 2006-May 2007, pp. 146-147 and 185, no. 48 (illustrated in color, p. 147). Colorado Springs, Cantor Arts Center; Michigan, Kalamazoo Institute of Arts; Charlotte, Mint Museum of Art and Omaha, Joslyn Art Museum, Spared from the Storm: Masterworks from the New Orleans Museum of Art, June 2007-June 2009. 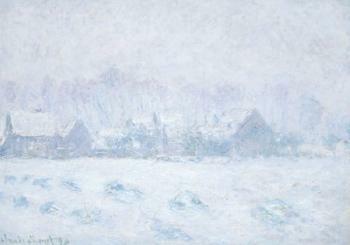 Paris, Galeries Nationales du Grand Palais, Claude Monet, September 2010-January 2011, no. 125 (illustrated). London, The National Gallery, Monet and Architecture, April-July 2018, pp. 82-83, no. 74 (illustrated in color, p. 83). Letter from Claude Monet to Paul Durand-Ruel, 24 January 1893 (series discussed). Letter from Claude Monet to Paul Durand-Ruel, 10 September 1894. H.F. Gevaert, "Chronique artistique de Paris: Exposition des oeuvres de Corot et de Cl. Monet" in L'Indépendance Belge, 20 June 1895. G. Geffroy, Claude Monet: Sa vie, son oeuvre, Paris, 1922, p. 27. D. Wildenstein, Claude Monet: Biographie et catalogue raisonné, Lausanne, 1979, vol. III, p. 160, no. 1331, p. 269, letter no. 1174 and pp. 277-278, letter 1251 (illustrated, p. 161). D. Wildenstein, Monet: Catalogue raisonné, Cologne, 1996, vol. III, p. 541, no. 1331 (illustrated). Galerie Durand-Ruel et Cie., Paris (acquired from the artist, 7 May 1895). Clement A. Griscom, New York (acquired from the above, 7 January 1899); sale, American Art Association, New York, 26-27 February 1914, lot 54. Durand-Ruel Galleries, New York (acquired at the above sale). John T. Spaulding, Boston (acquired from the above, 20 April 1925). David William Trail Cargill, Glasgow; Estate sale, Parke Bernet Galleries, Inc., New York, 6 January 1949, lot 64. Acquired at the above sale by the late owner.